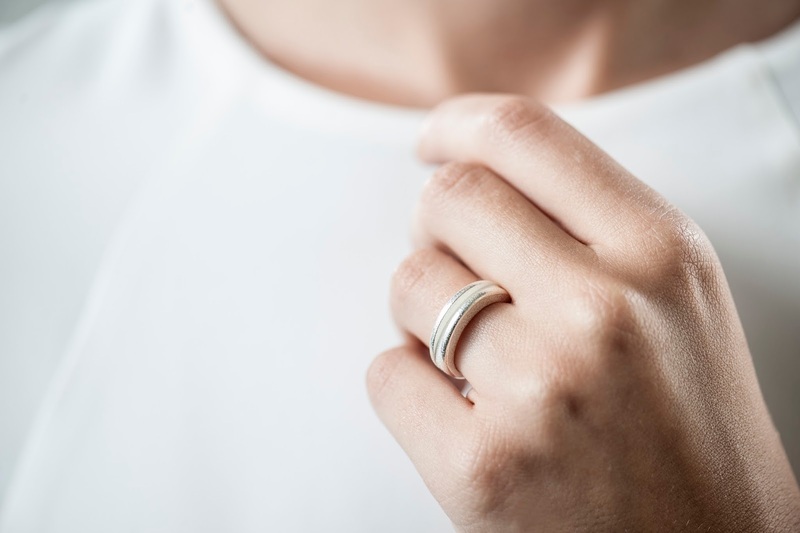 3D printing is still a relatively new phenomena in the jewellery world, coming into mainstream prominence only a year ago and currently changing the future of jewellery design. 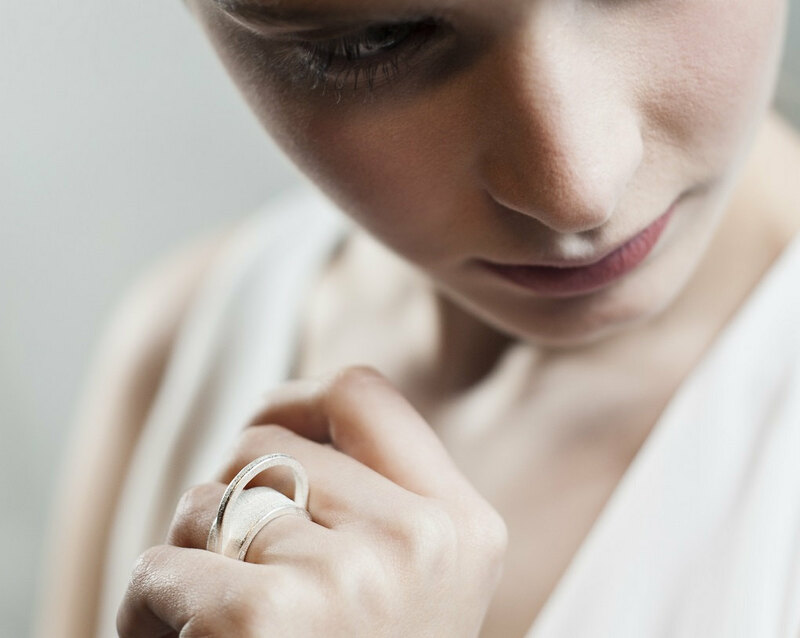 Ina Suffeleers of OLA Jewelry became fascinated with this innovative technology whilst having a passion for creating jewellery, and OLA is a combination of both; 3D printing and design. 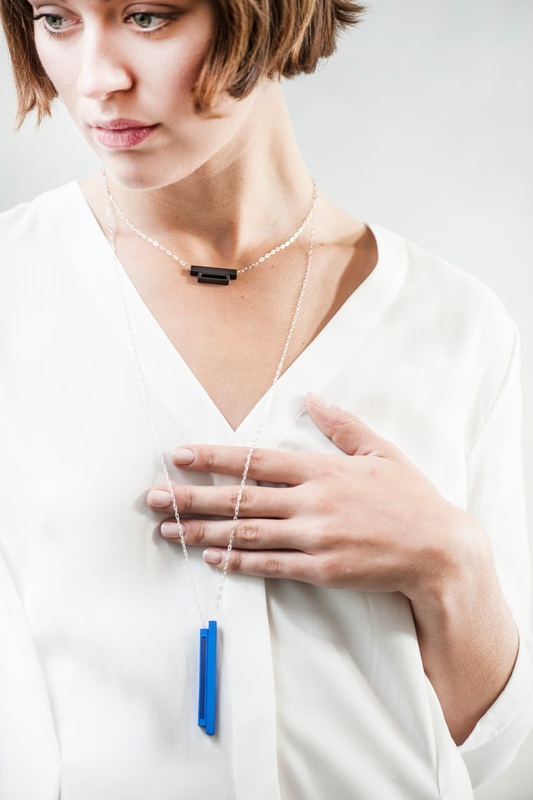 Upon discovering OLA Jewelry it threw me into a eye-wide geometric stupor haze. The Balanced and Aligned collection stands for everything I seek for in jewellery design; geometric, minimalist, contemporary and conceptual, you could stay it ticks all the right boxes for me. It also helps that the Aligned collection is inspired by the influential and visionary Bauhaus movement. Here I speak to Ina in more depth about her fascination with 3D printing, newest collection Aligned and the creation of her pieces. For as long as I can remember I have been creatively active; I’ve always loved making stuff. I knit my first sweater at the age of 10, loved crocheting and more recently I made jewelry as a hobby. But I am not a (jewelry) designer by education so I was never able to make my own designs. I created pieces with different, existing supplies that I found on the market. 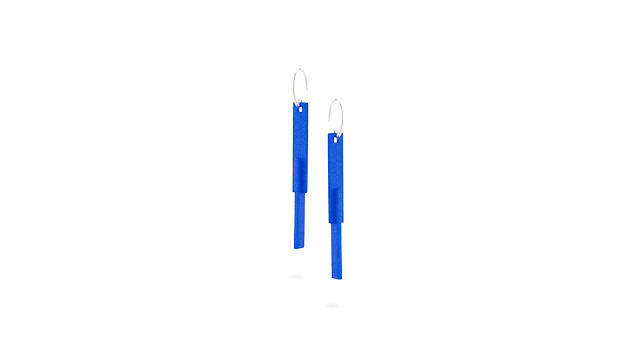 I worked in the technology industry and had always been following innovative new technologies so when I heard about 3d printing I was amazed at what the technology could do and realized this technology would allow me to design and create my own jewelry collections. The first OLA collection was launched at the end of 2013. A whole new world opened up for me and I started my second professional career which has in the meantime become my full time job. 2. 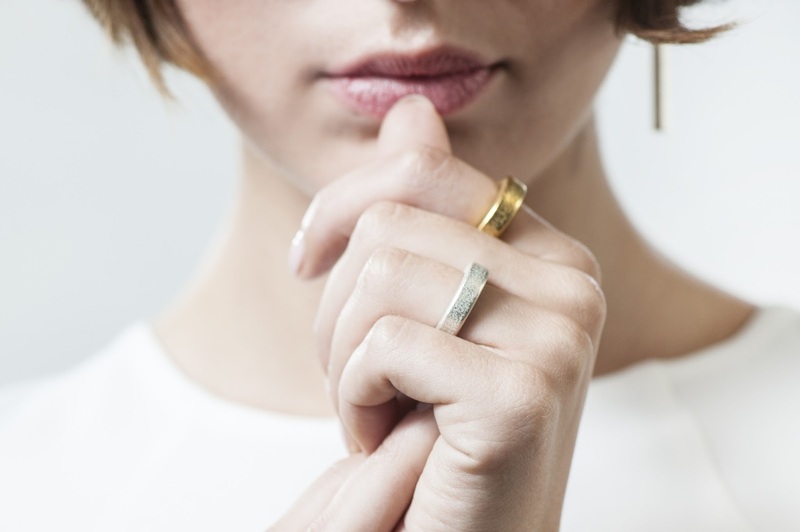 Ola Jewelry is a combination of 3D printing and design. What fascinates you about this innovative technology? How do you implement it with design? Every day I am still blown away by the technology and its opportunities. And it evolves so quickly! 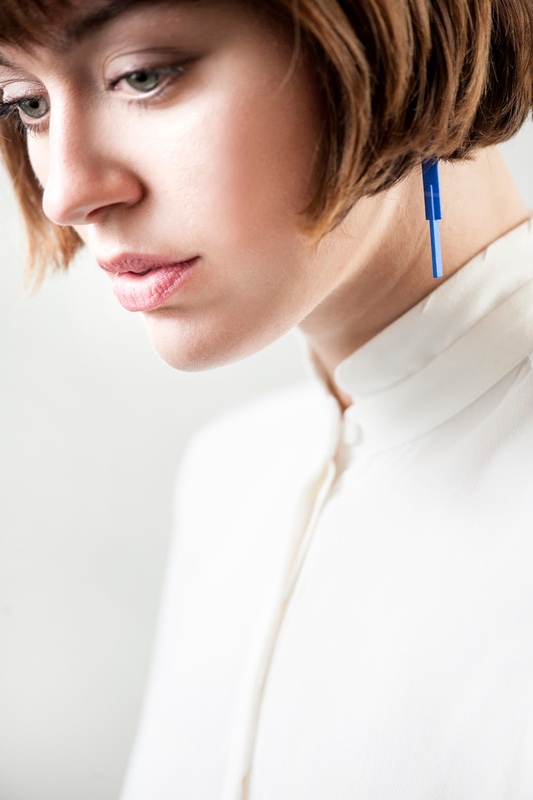 The materials, the print process, the possibilities… When I designed my first collection, I focused on the technical aspect of how the technology could be used to create jewelry and especially what would be possible in printing which wouldn’t be by the traditional way of jewelry making. After that the collections evolved and I really focused more on the design rather than the production aspect. 3. What is the inspiration behind your new Aligned Collection? I like rounded and especially oval shapes and the two previous collections were dominated by these. 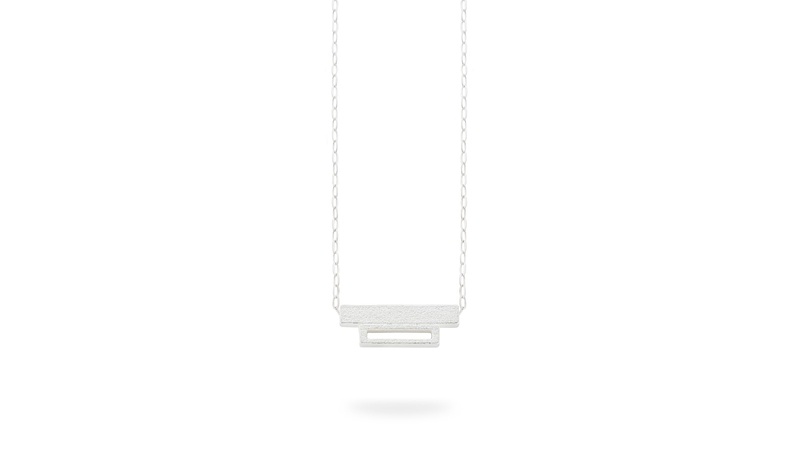 The Aligned Collection is inspired by Bauhaus design which I am a huge fan of. The lines are minimal and pure, even more so than the previous collections. The Aligned Collection is again available in nylon (black and blue) and steel (gold- and silver plated). All jewelry pieces -in both materials- are printed directly. I love the printed steel. It has a very specific texture from the print process which adds more character to the pieces. The element of surprise certainly is something that returns in each collection. Most OLA pieces look different when looking at them from different angles. It makes the design unique, different and maybe at times a little fun too. 4. Describe the creative and technical stages of making your jewellery collection. What is the hardest and most enjoyable part of the process? I have to admit I hardly wear any jewelry myself. 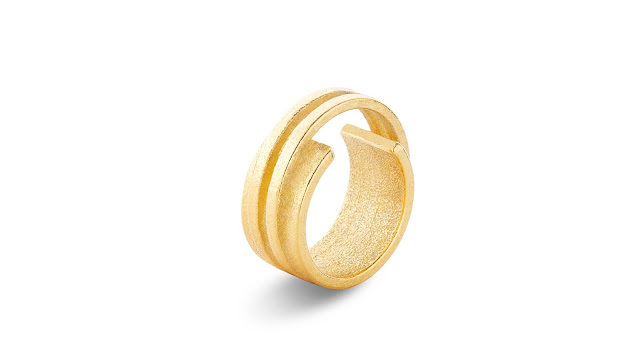 I mainly stick to rings and my absolute favorite is the Balanced Ring II in black and now from the new collection the Aligned Ring III in gold. 6. You previously worked in marketing within the technology industry. How does this help you as a jewellery designer? 7. What is your favourite social media platform? How do you utilize it to your advantage? As said, I am a huge Bauhaus fan. If you look at their architecture and product designs going back as early as 1920-1930 it is clear these architects and designers were true visionaries of their times. Everything is timeless. Which is also an element I love in fashion design. One day I would love to collaborate with a clothing brand or designer. 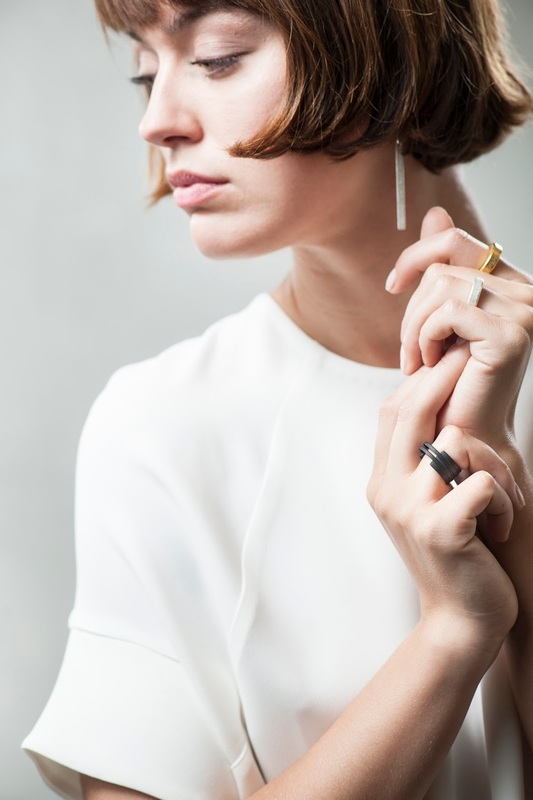 There are many great clothing brands in Belgium, AF Vandevorst is one of my favorite so if they were to call one day to ask me to design a jewelry line for them, I wouldn’t need much time to think it over.